MONTREAL – May 16, 2017 – As residents and visitors of the world’s major cities look for the best way to get around, Mastercard is making commuting easier, faster and more consistent. In over 80 cities around the globe, Mastercard and its partners are enabling users to pay for their train or bus simply by tapping their card or swiping their phone. With one of the year’s major vacation periods approaching, consumers will be able to use the devices they already carry to access public transport in a growing number of cities, including popular tourist destinations such as London, New York, Chicago, Milan and St. Petersburg. Moving towards a world beyond cash, Mastercard is partnering with cities and other technology companies to improve overall quality of life, while helping them manage their logistics in a more efficient way. For example, since the introduction of contactless payments across London’s transit system in 2014, 40 percent of daily pay-as-you-go journeys on the city’s underground, buses and commuter rails are paid that way. When commuters tap their contactless card or device at one of the readers, they’re guaranteed the best available fare at the end of a day or week. 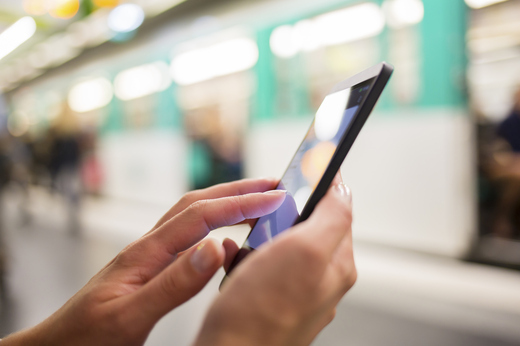 As city and industry representatives convene in Montreal for the biannual Global Public Transport Summit (UITP) this week, Mastercard will be showcasing its latest solutions for contactless and mobile ticketing, as well as data analytics. For more information about Mastercard’s presence at the event, visit newsroom.mastercard.com.